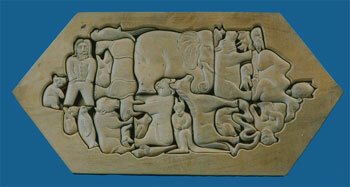 Noah's ark in a much bigger size, made from pulai wood and measures 53x24x4cm. 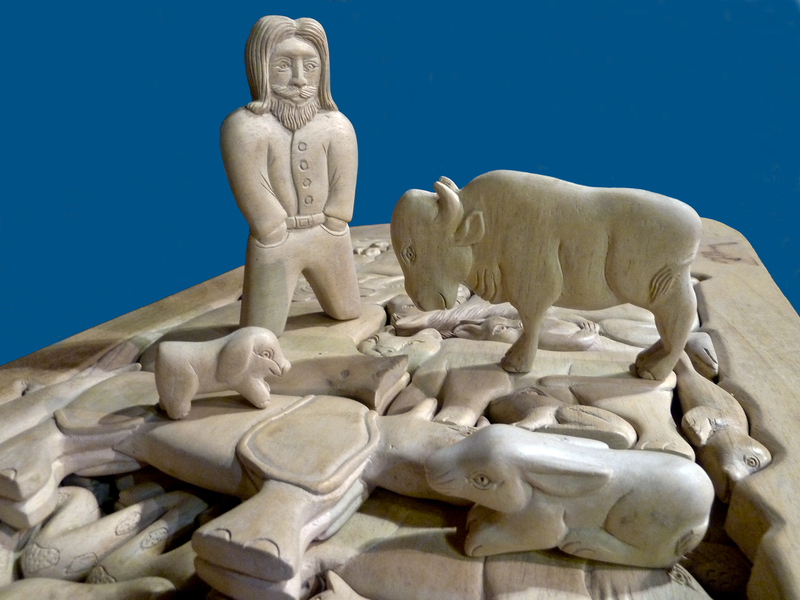 Beside the 24 pairs of animals, which can stand alone, you have Noah and his wife to complete the show. If not considered a unique present, it's still a beautiful decoration . This is about the extermination of animals. 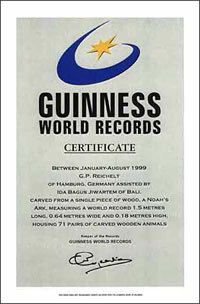 Actually the biggest Noah´s Ark made from a single piece of wood. You can find this breathtaking sculpture in the Guinness Book of Records. This ark,with some 142 animals is not for selling. 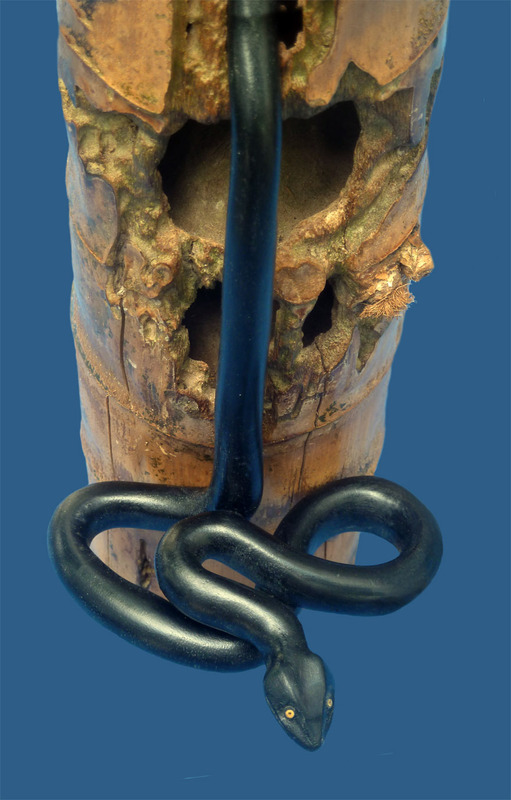 This unique piece of bamboo inspired me to create the black snake.Originally the snake was from a light white piece of wood. Than I bated all in black,sealed and oiled it in the end. All 50 animals in this ark like elephant, turtle, camel, lioness, koala, penguin, buffalo, parrot, ape, horse, hippo, seal, rabbit and many others can stand freely. 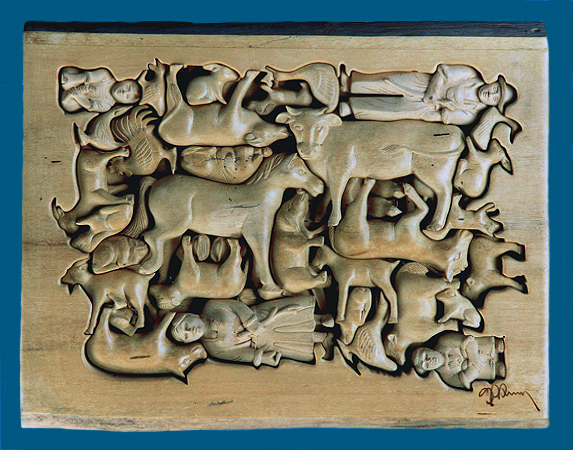 Yes, 50 puzzle-animals have been fitted seamlessly into this ark. 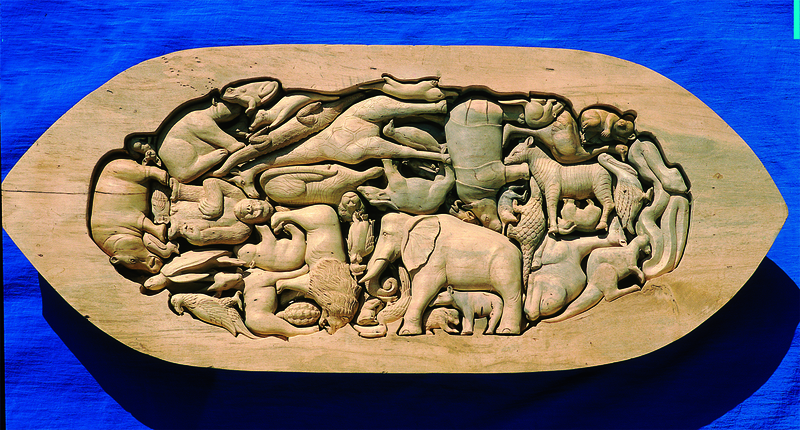 All of them had been cut and carved out of this piece of wood. Like all my wooden objects, all pieces are unique and handmade. 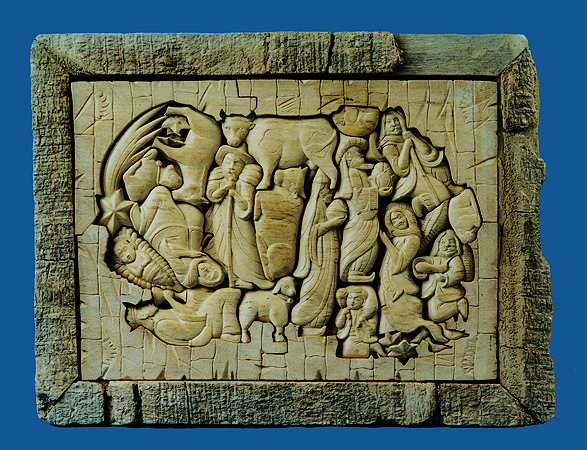 This compact nativity scene is produced from a single piece of pulai wood, thus creating a true wooden family. 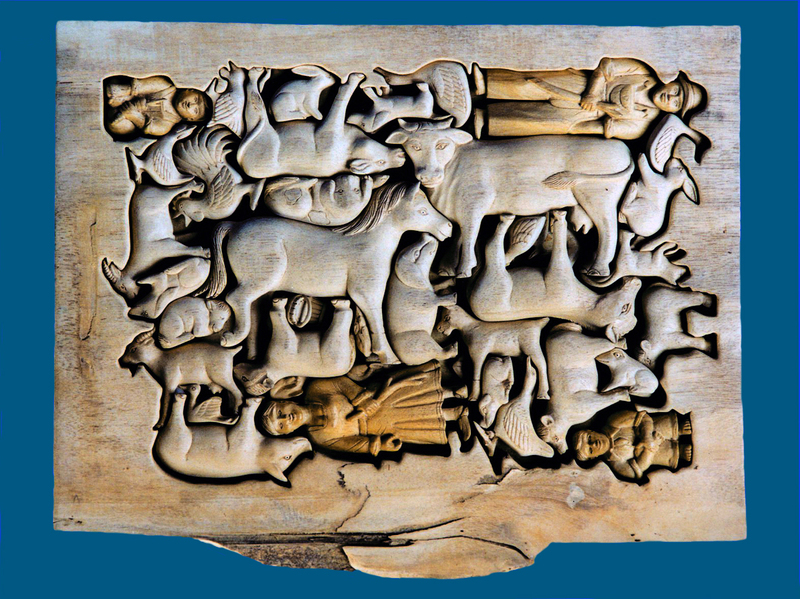 Most of the 30 puzzle pieces, approximately 15cm in height, will stand alone when removed. 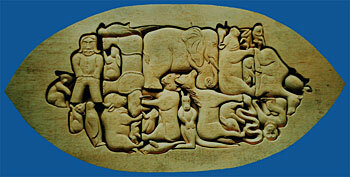 The puzzle can also be hung on a wall, or placed on a table, as a complete sculpture. 100% hand carved. 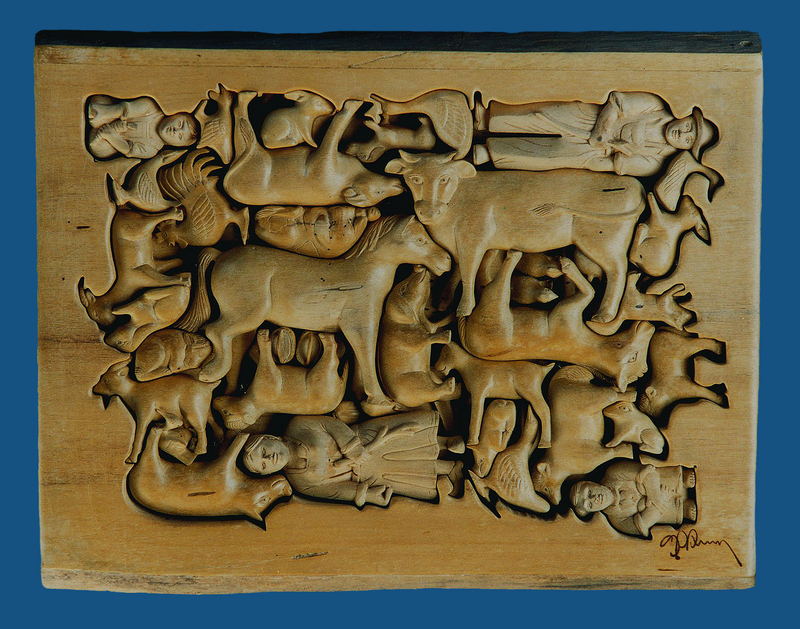 The frame is produced of natural bark. 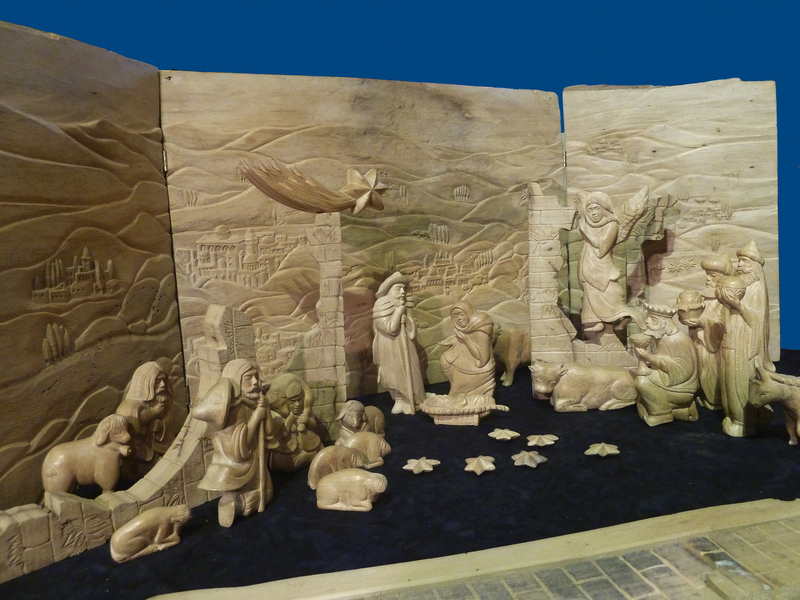 If you enlarge, you´ll see a different nativity scene with a panorama.